US intel chiefs at odds with Trump claims on N. Korea, IS and Iran - Integration Through Media ....! WASHINGTON, (AFP) – US intelligence chiefs contradicted some of President Donald Trump’s most fundamental foreign policy claims Tuesday, underscoring a persistent division in his view of the world and theirs. In a hearing on global threats at the Senate Intelligence Committee, the country’s top spies took issue with Trump’s assertion that the Islamic State group has been defeated, and that North Korea can be convinced to forego its nuclear weapons. They also challenged Trump’s claim that Tehran is actively seeking nuclear weapons, the justification Trump gave for withdrawing last year from a multilateral treaty on Iran. And they underscored again that Russia meddled deeply on Trump’s behalf in the 2016 presidential election — which he has repeatedly denied — and can be expected to do the same in 2020. The hearing took place weeks after Trump cited a victory over Islamic State to justify his sudden announcement of an immediate pullout from Syria — a move that alarmed the US defense establishment and allies in the Middle East. And it came just weeks before Trump plans a second summit with North Korean leader Kim Jong Un to negotiate a hoped-for denuclearization of the hermit state. 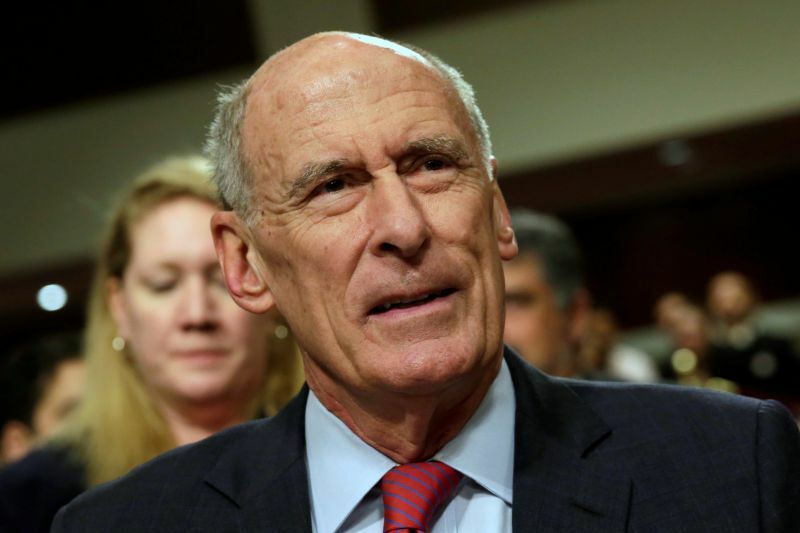 Director of National Intelligence Dan Coats told the committee that the US intelligence community believes it is unlikely that Pyongyang will agree to completely denuclearize. The report also warned that Islamic State is hardly vanquished and could easily rise again in a vacuum left by departing US forces, resuming global attacks and restarting its propaganda machine.”ISIS still commands thousands of fighters in Iraq and Syria, and it maintains eight branches, more than a dozen networks, and thousands of dispersed supporters around the world, despite significant leadership and territorial losses,” Coats said. It characterized the US-China struggle as an ideological battle between the Western model of a democratically-based economy and China’s authoritarian capitalism. “Chinese leaders will increasingly seek to assert China’s model of authoritarian capitalism as an alternative — and implicitly superior — development path abroad, exacerbating great-power competition that could threaten international support for democracy, human rights and the rule of law,” the report said. FBI Director Christopher Wray told the panel that the FBI is investigating Chinese economic espionage in nearly all of its 56 field offices around the country. “China writ large is the most significant counterintelligence threat we face,” Wray said. But the intelligence community showed a distinct divergence on other thrusts of Trump policy.On Iran, Central Intelligence Agency Director Gina Haspel told the hearing that the country is still abiding by the terms of the 2015 nuclear deal, despite Trump’s decision to withdraw last year, claiming Tehran had broken it. “At the moment technically they are in compliance” with the Joint Comprehensive Plan of Action, Haspel told lawmakers. There was no comment from the White House on the Coats report. But analysts said it showed a glaring divide that has existed since the beginning of Trump’s term in 2017. “A normal human being listening to the intel chiefs today on Iran and North Korea would conclude that Trump was dead wrong to withdraw from the JCPOA and dead right to negotiate with KJU even though zero nukes was magical thinking,” said Aaron David Miller, director of the Middle East program at the Woodrow Wilson Center think tank in Washington.